The Internet can be a messy place. Most days you probably feel like you’re being smothered by Adwords garbage, fly-ins, pop-ups and spam emails on an hourly basis. But, listen—there’s hope. By creating a smooth, easy-to-navigate website, you can be the change you want to see in the world. You can make your little pocket of the Internet a better place—a place where customers can find the information they want quickly and painlessly. All it takes is a little analytical insight and a lot of testing. Do it right, and your customers will reward your efforts with sweet, sweet patronage. Win/win! Most user experience boils down to design. If you’re inexperienced,you may want to work with a web designer. If you’re a DIY-er, you can spearhead design yourself. Before you dive into an extensive site redesign, it’s important to know exactly who you’re building your website for. Pin-pointing your radical buyer will help you build messaging that appeals to your target audience as well as take design elements into consideration. For instance, if your ideal buyer tends to be a mobile native, having a mobile responsive site is a top priority. Or, if your ideal buyer prefers phone over email, you want to make sure you include a phone number with the calls to action on your website. Doing your buyer persona research upfront will help you nail website design and messaging upfront. There once was a time when people thought websites should include as many things as possible: graphic backgrounds, gifs, colored fonts. Everything was new and exciting in HTML. We’ll call this the Internet’s preschool years, because too many websites looked like a three-year-old’s coloring book. Obviously we’ve moved on since then. Minimalism is chic. Readability is key – especially since your audience can access your website from many different devices of all shapes and sizes.As web users, we’ve evolved, and the bottom line for B2Bs is that your entire user experience on your website should be as simple and obvious as possible. You don’t want to create any proverbial pitfalls into which your customers could fall and drop off. Work with your web designer to create a clean site that puts your customer and your value proposition front and center. Your CTAs should guide your website visitors down the funnel from prospect to customer. Only ask for the information you need. For instance, a name and email address is sufficient for an email sign-up, while you may need more details like company name, title, and phone number for a sales demonstration. Follow-up with an email to let sign-ups know what’s coming next – whether it’s detailing the type of content they’ll receive in their inbox, or letting them know that you’ll be reaching out with a call. An annual site redesign can seem daunting. 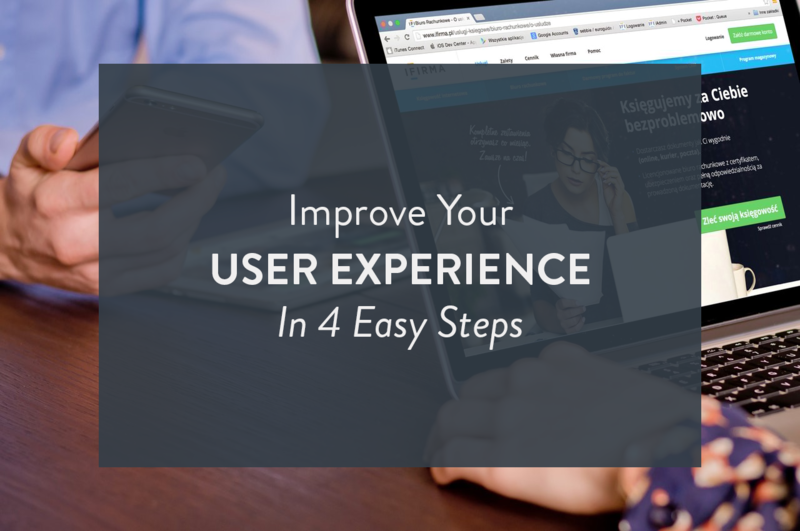 Instead, make small tweaks every month to see incremental gains in sign-ups and customers from your website. One way to start is by using a heat map—a visual representation of where your viewers are, and aren’t, clicking. There’s a free tool called heatmap.me that you can quickly install—it’s a lightweight app (or plugin, depending on your CMS) that gathers data on a select few pages over time to show what direction your traffic is flowing. We’re also big fans of CrazyEgg which goes even further in-depth with its data. If you see that nobody is clicking on your CTA, that’s a pretty good indication that it’s ineffective. 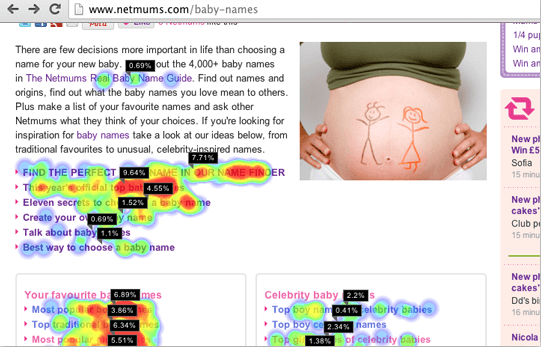 Maybe you’re seeing a lot of clicks on the “Advertise” page—you’ll want to set up a heat map on that page, too, to see exactly where people are clicking one they get there. Google Analytics offers some of this insight, but heat maps allow you to see exactly where people are clicking, not just what links they’re clicking. This will help inform where you should put links, CTAs and other graphical elements of your site. The problem with those early web design examples from above is that the creators tried so hard to impress users—with colors, auto-playing 8-bit music and novellas of comic sans—that they forgot it was regular human beings reading their sites. It’s not about what you like, or what you think the best design would be. It’s about what your customers are actually doing—what they’re clicking and how they’re seeing you. Make things simple for them, and a great user experience will come naturally, helping you turn website traffic into customers for your business.